Dr. Cunningham was born and raised in Indiana, and attended Purdue University and Indiana University for her undergraduate studies in Psychology and Cytotechnology. After working for several years in laboratories screening for cancer, she decided she wanted to interact on a more personal level with patients, so she studied Optometry at the University of California, Berkeley. While a student there, she gained experience through clinical rotations at the Sacramento Society for the Blind, the San Francisco Veteran’s Administration Hospital, and at Beale Air Force Base. She also volunteered in Nicaragua to give eye exams and glasses to people in need, and was the Suitcase Clinic Coordinator in Berkeley for two years, helping disadvantaged people obtain eye care at the school clinic. 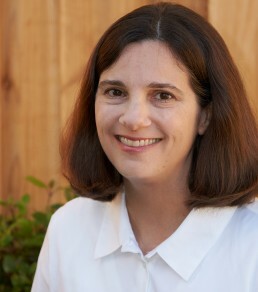 Since graduating in 2003, she has been working in eye care clinics in the bay area, and she joined Marin Eyes in 2016. Outside of optometry, she spends time with her family. She also volunteers with her son’s boy scout troop, and enjoys going on hiking and camping trips with them.